This is a question I often get and the answer to that, is yes. You can still make some affiliate sales without a website but your potential wouldn’t be as great as when you’re using a website. This is because when you do have a website, your brand is established and people can have a better chance at knowing who you are before they buy a product. Having a website also means you don’t have to pay for ads and online advertising in order to collect emails as you can do so by placing a squeeze page and creating content to attract people to your site. 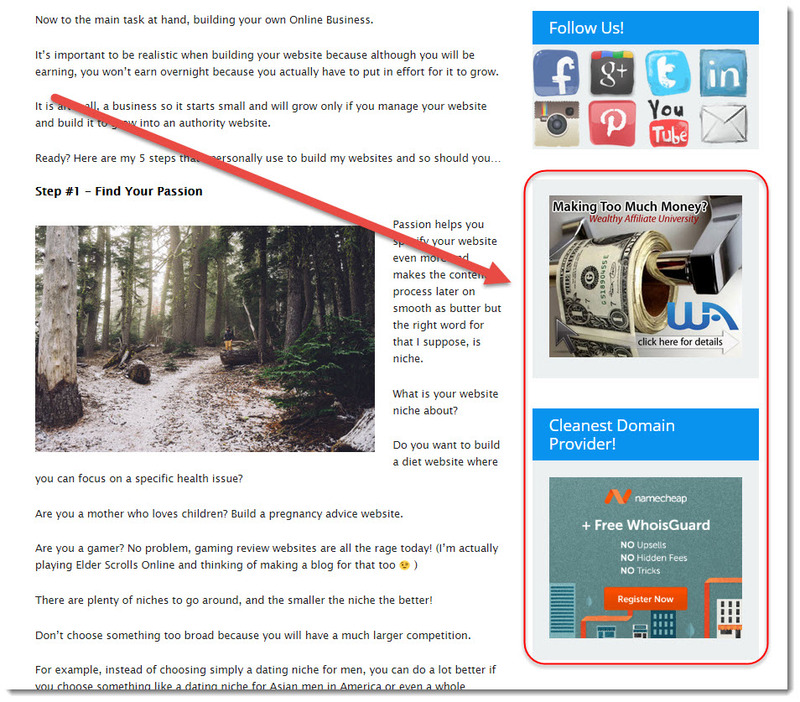 Top 10 Ways to do Affiliate Marketing Without a Website. 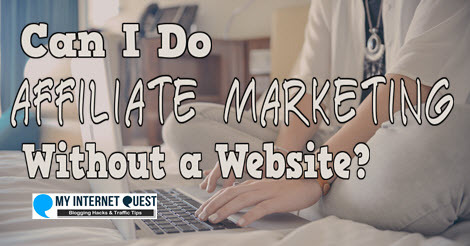 To become an Affiliate Marketer without a website is definitely possible but it requires more effort as well as money to score it because when talking about online, the whole entire World Wide Web is designed especially to optimize website potential. Solo ad is basically email marketing but but but! You can only email once because how you are going to get that email list in the first place, is by buying it. The sellers are called solo ad vendors and the average price they usually sell for 100 clicks is around $40-$50. It is the most expensive form of marketing but also the most effective because when dealing with emails, people tend to trust them more if you do it right. However when doing solo ads, the list owned by the solo ad vendors actually comes mostly from their own websites which is how they got such a huge database of subscribers in the first place (Another reason as to why you need a website). So basically when you’re buying a solo ad from a vendor, that vendor is risking his own relationship with his subscribers by allowing you to send in your email promotion instead so to avoid spamming, each person can only send one email which is why it is called a ‘solo’ ad. 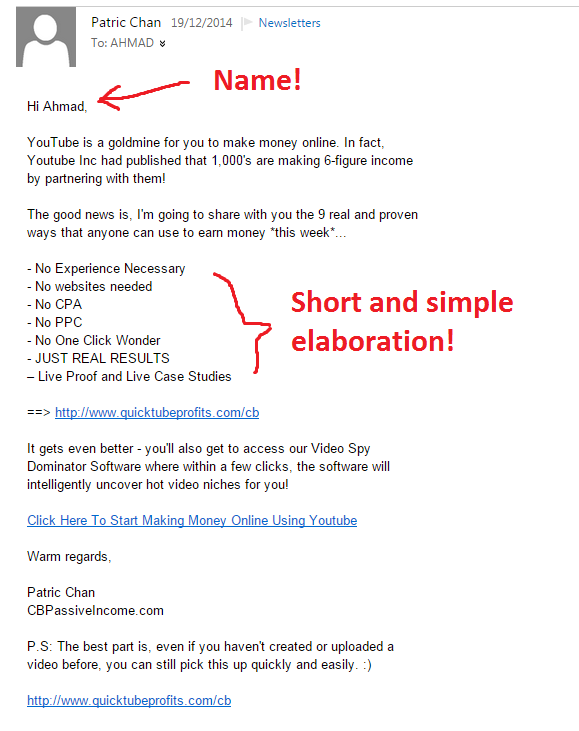 So, $40 for 100 clicks, you gotta make it count or all that money is going to disappear in a blink of eye! When I first started buying solo ads, I had no idea that there are many scammers around and I got tricked many times because whenever I paid them, I didn’t get any replies whatsoever! Imagine that! 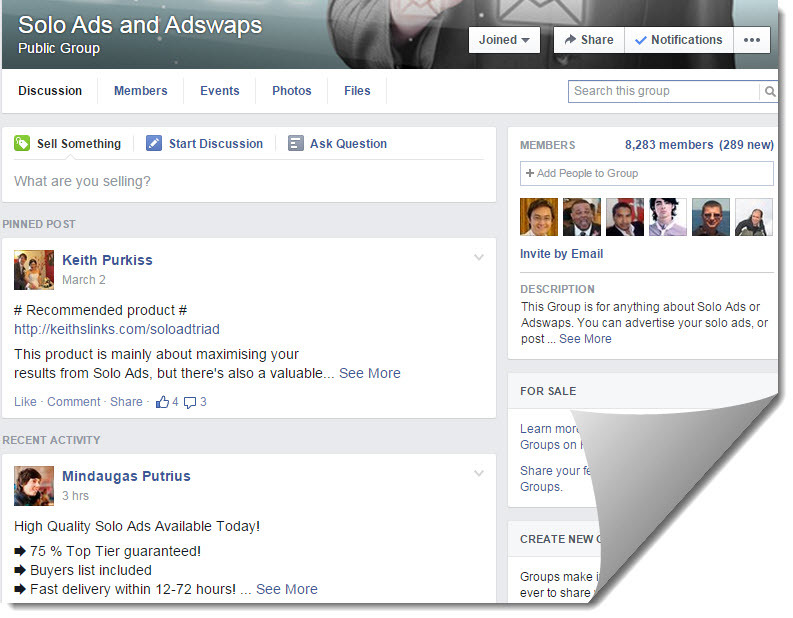 Because of that, it is important to have a solo ad community and there’s loads of it in Facebook such as the Solo Ads and Ad Swaps group and the Solo Ad Testimonials. Solo ad is a risky business which is why joining online communities is important because the people there have each other’s back and whenever someone finds a scammer or got scammed by one, they share that particular vendor’s name so that you know to watch out and avoid danger of falling into the same traps as they did. I’m pretty sure you’re familiar with this one – leveraging the power of forums! How this works is simple – Find question and reply them with honest advice while making your affiliate link as your signature so that you won’t have to copy and paste the link every time you answer. Bear in mind though, that forum marketing is also risky especially when tons of those “make money online” spammers are around (Don’t you just hate them?). Unfortunately as many spammers as you have reported abuse, there will always be more coming and I blame those scam gurus because their lies in making millions overnight can actually be very convincing. Getting other forum accounts banned is okay because I’m not actually the forum type of guy but Yahoo Answers is different case because I grew up with it. I used to rely on Yahoo Answers a lot for my life questions when I was still a teenager and plus, my Yahoo Mail was my main email at that time but after the ban, it really affected me seeing that I have to always see that ban notification every time I want to log in. And it has been more than 2 years already! 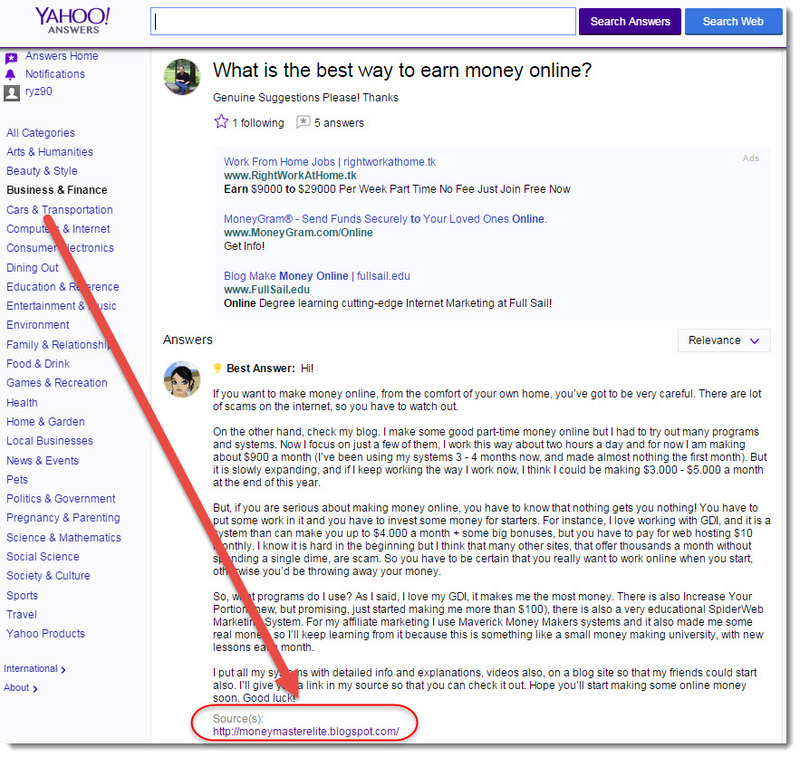 The annoying part about Yahoo Answers is that once you are banned, you will never able to unban it again because you’ve actually agreed to the terms and conditions when you created your account, hence giving Yahoo the power to do anything they want. Still, that does not mean you can’t go along with this method because the best forum marketing strategy is through personal touch by writing answers for each inquiries differently and by not putting any links or anything at all that has a dot com in the end. This is a rather offline method but you’d be surprised at how much it works! 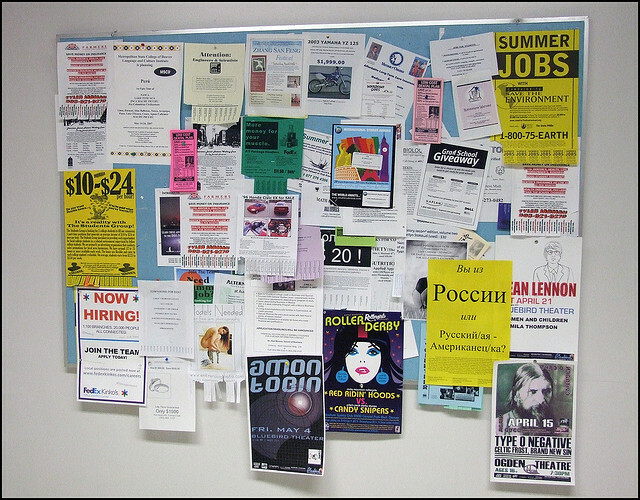 Public Bulletin Boards are common and dirty with money lenders and petty spammers but if you manage to score a bulletin board at colleges, your conversion rate is going to be much higher! This is because there are not many outside advertisers in a college’s bulletin board because the school wants to give priority to the students and give them chance to grow which also leads you to one of the flaws of this strategy – You need to get an approval. You can’t just simply stick your flyer or poster everywhere because the school staff will throw away if they see an odd ad without an approval stamp. You can try an print as many flyers as you want and paste it everywhere but remember, long are the days of spamming brochures and flyers because nobody reads them and those who do, throw it away the next instant. You want to make your offer stand out and stick to their minds which is why trying to get the permission to stick an ad on that darn bulletin board is crucial! The reason why this is so powerful is because students are always looking for opportunities, especially those who are having a hard time and have to work in order to pay for their fees as their parents couldn’t afford it (Like me a long while back). Students know that in order for any advertisement to be allowed on that bulletin board, they would have to go through their annoying school rules and regulations first which is why they would totally believe you if you can actually achieve that. It may be difficult but one trick which has always worked for me is to work with one of the students instead because if they know they are getting paid just to get some paper up on that board, they would be happy to help you out. The bulletin board technique has a high barrier of entry but it will be worth your while because you save money while getting a lot of subscribers. Papa Hotdog doesn’t have a website but it’s been surviving for years! Still not interested in creating a website for your business? No worries, social media is the way to go! Not everyone wants to do a website but somehow, they need a way to establish their brand so how do you do that? 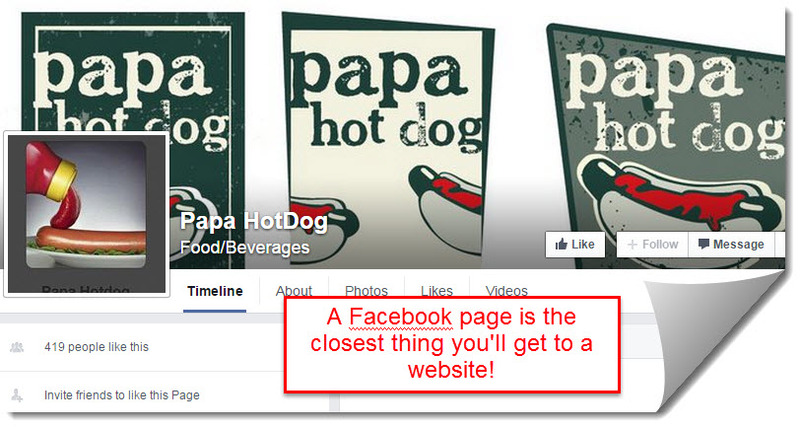 By creating a page on your social media account! And not just Facebook, you need to be social in order to replace a website’s marketing potential and that means – twitter, LinkedIn, Pinterest, Google+ and About.me. By creating business pages through social media, people will still be able to find you if they search through Google because even without a website, your social media accounts will still be visible for people to click on! Did you know that 50% of businesses in Malaysia do not even have a website? Okay I admit, that’s not a real figure but its somewhere around that amount because you can hardly find any websites for businesses in Malaysia unless they are established enough to have an office in the middle of the capital city. Websites are useful, yes, but people are getting cleverer to go around it and one of the best social media for businesses used today is Instagram (And yes, you need to have this too). Heck, even the huge brick and mortar companies do not have proper websites of their own besides a one page corporate profile which nobody looks at (Except their competitors) so if you’ve been wanting to create a social page of yours all these while, there has never been a better time than now. 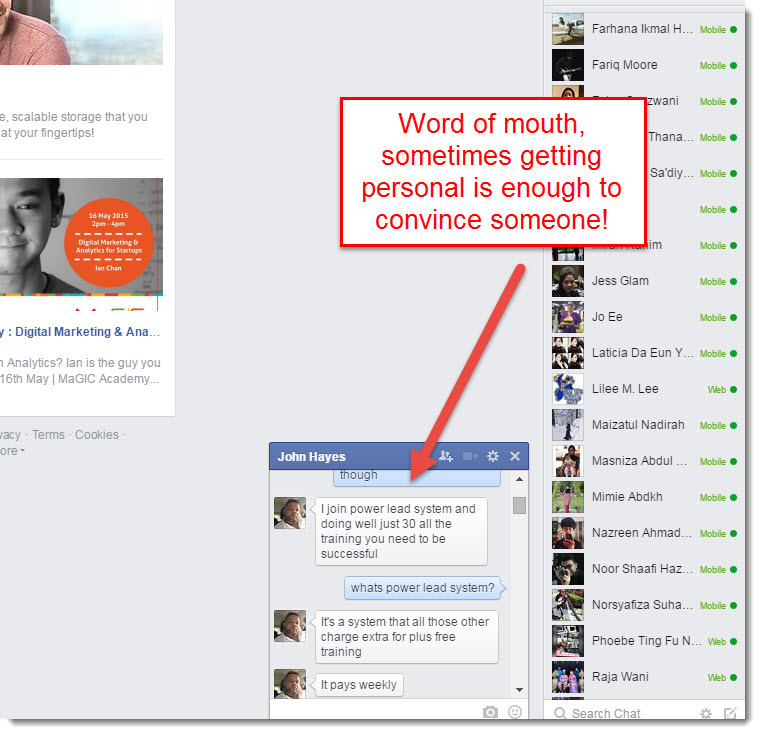 Did you know that word of mouth is the most effective form of marketing? I know you’ve probably heard of this a thousand times over but did you know that it still works in social media? According to a research made by Ambassador, 58% of people share or ask for positive experiences with a company and ask friends and family for opinions on a brand. How this is important is because 84% of consumers trust recommendations from families and friends which can only means one thing – word of mouth still works even in social media! Why I strongly believe in this is because I actually fell for it a while back by a random person whom I didn’t even know. At that time, I was in the middle of ‘being scammed but not even knowing’ moment by a program called Dot Com Secrets X which I joined but have not made any sales for 3 months. I was in denial because I’ve spent a lot of money in it and wouldn’t want to waste all that effort for nothing. One day, a random person called John who also tried Dot Com Secrets X randomly chatted with me on Facebook chat about my opinions on that particular program (Clever hook there, John!). Being frustrated, I shared all my experiences and one thing led to another, he eventually introduced me to a program that he’s doing called Power Lead System (Hey I could write a review on this!). Little did I know, I was already joining Power Lead System and of course it didn’t last because it was obviously an MLM scam but the point of the matter is, that word of mouth is a very powerful tool that you should always make full use of every time and everywhere. The reason I joined Power Lead System even though I wasn’t really in the mood was because I was talking to John for almost an hour beforehand and so far he has been honest and replying all my annoying questions with patience so in a way, that gave me the impression that he can be trusted and if this worked on me, it will definitely work for you too. People react to video more than they do when reading something because they can relate better plus it’s definitely a lot of fun! As humans, we are more attuned to visuals and if you there is a choice to read or watch video, you would definitely want to just watch and save you time, considering not all of us have the ability to read fast. However making videos is also hard work because you need to constantly edit the video which will take hours before you can finally publish it which is why most YouTubers do not post videos every week. But the up side is that as long as you create high quality video, eventually one of them will become viral and will drive in the most amount of visitors of all the other videos and when this happens, all your other videos are going to get a chunk of that nugget and your conversions are going to go up much higher! Showing your picture is the best way to get people to trust you but if you’re camera-shy like me, doing recordings is still a great way to get clicks. 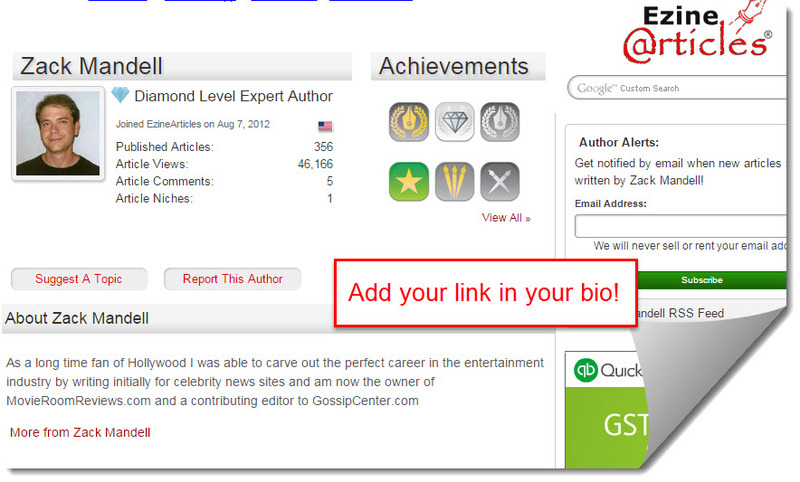 Article Marketing through your bio profile. This doesn’t work as good as when you have a website but it’s worth giving it a try. The concept is simple – Find article sites, create a bio and fill it up with your link at the bottom. Next, all you need to do is write articles of your own to make yourself look like a pro and from there, you can drive traffic as people who are interested in your quality of work will definitely want to have a look at your bio so because when they read that, they will want to eventually click on your offer. This doesn’t work with guest blogs because they do not allow the use of links but article submission sites like Ezine Articles and Street Articles allow you to create an account and fill it up as you like. Websites have space on the sidebar for them to place banner and they usually make use of this by either placing their own banners or placing Google ads for them to earn money with clicks. You on the other hand, can make money from this by looking for small websites and ask them for their permissions to place your banner there. They will usually ask for money according to the number of clicks which is expensive but not all blogs know about PPC or anything related to ads which is why small blogs should be your target. You can convince them by paying them $30-$50 a month for their ad space and although this does’ look like much, you’d be amazed at what people would do for easy money. Asian bloggers like those from Malaysia, Phillipines and India will be more willing to cooperate because their currencies are dropping while the USD is increasing so the difference is actually quite huge. Almost every Affiliate Marketing product should come with their own banners and you can make full use of this by simply using that given template to save your time. This is also another offline method which can have a huge impact with your offer and that is through events. However this is also something which I know not many of us would want to do because it costs money, it takes up a huge amount of effort, and you need to have complete confidence to avoid the risk of making yourself look like you have no clue what you’re doing. It may be something scary but the biggest barrier of entry is actually only the first event because since you’ve never held one before, you have no idea what talk are you going to give or better yet, how to get the courage to talk in front all that crowd? 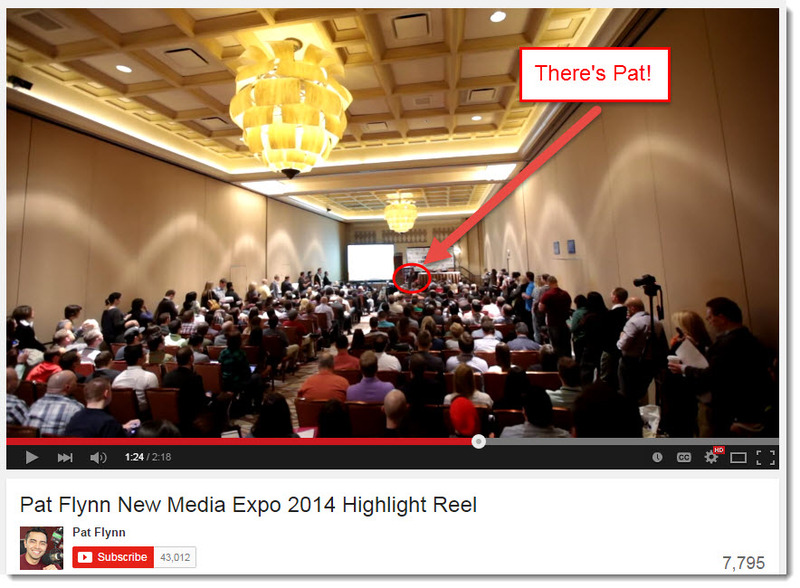 Pat Flynn from Smart Passive Income does great at leveraging events because each year, he hosts his own event to gather bloggers and Online Entrepreneurs alike to share his secrets to success. Another example would be Peng Joon who, also has never tried talking in a conference before but after taking the first step, he got brave enough to host seminars all year round. In fact, I actually attended one of his events back in Malaysia when he first started and despite his nervousness, we cheered for him because he was willing to do something out of the ordinary. Doing events is something big so you’re definitely not going to try this out in the near future but it’s a good idea to keep in mind because if you’re going far, you might want to have your own event or even if you don’t, people are going to call you to talk in theirs. 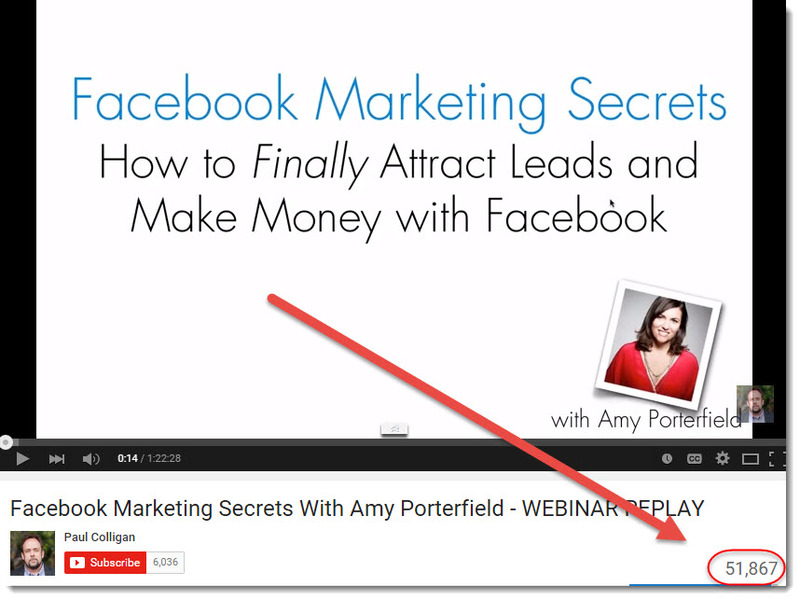 Webinars are great at building trust and relationship with your followers. Want to do an event but too lazy to go outside? Have a go at webinars! The trend itself is not entirely new but not many people are aware of its potential yet, mainly because it seems too complicated to learn how to use the interface, let alone deciding on which platform to use. However things are much easier now than before because you can actually start doing a webinar for free with Google Hangouts! Don’t have a database of people to invite? 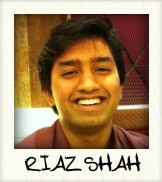 All the more reason for you to have a go with Google Hangouts! There is a feature within Google Hangout that lets you stream your video live to the world called Hangout on Air. This can really attract more people to watch your video because Google Hangouts is actually connected to YouTube since Google also owns that. So because of that, your videos will appear live both in Hangouts On Air AND YouTube as well to double the traffic! Worry not! Because almost everyone wants to watch a live screencast if they have the opportunity because since your video is unedited, they can see exactly what you do and who your real character is. 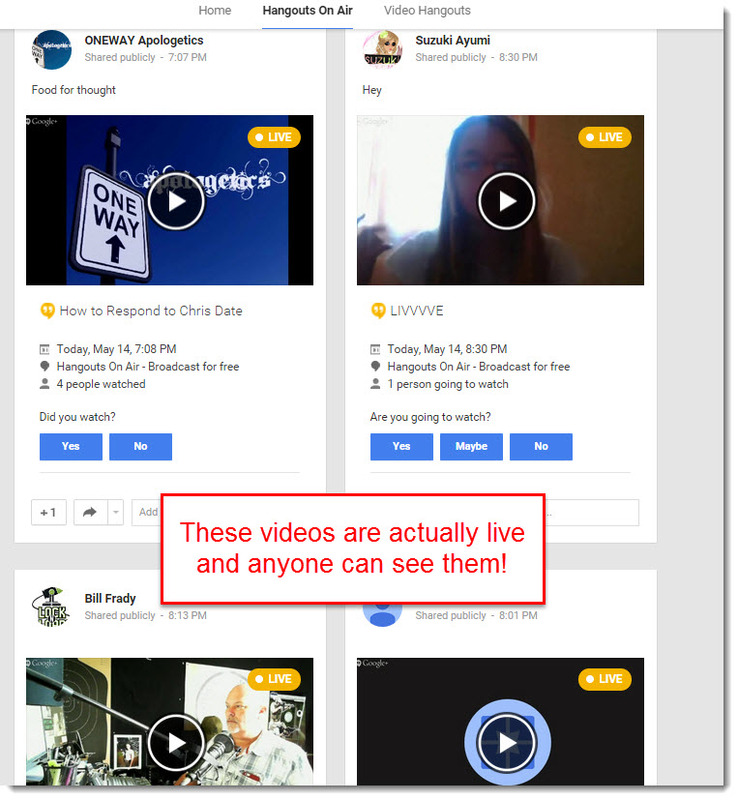 Webinars is so big that Wealthy Affiliate make it a habit to host live sessions every week to give its members a live classroom experience where they can ask anything they want at all! 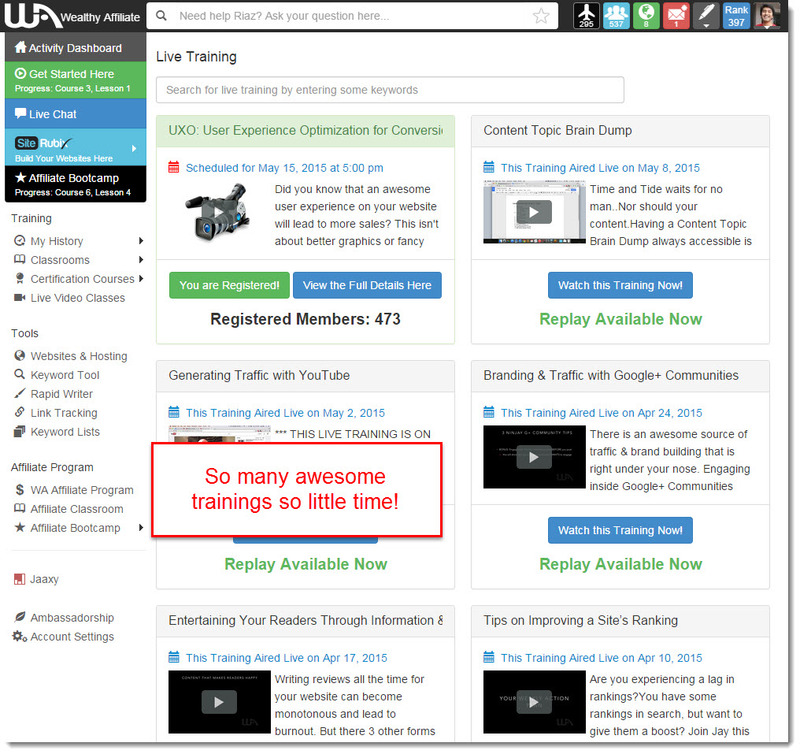 It’s a pretty slick feature that I personally love and you’d be amazed at how hooked people can be at webinars because mock my words, this is going to be a ‘thing’. 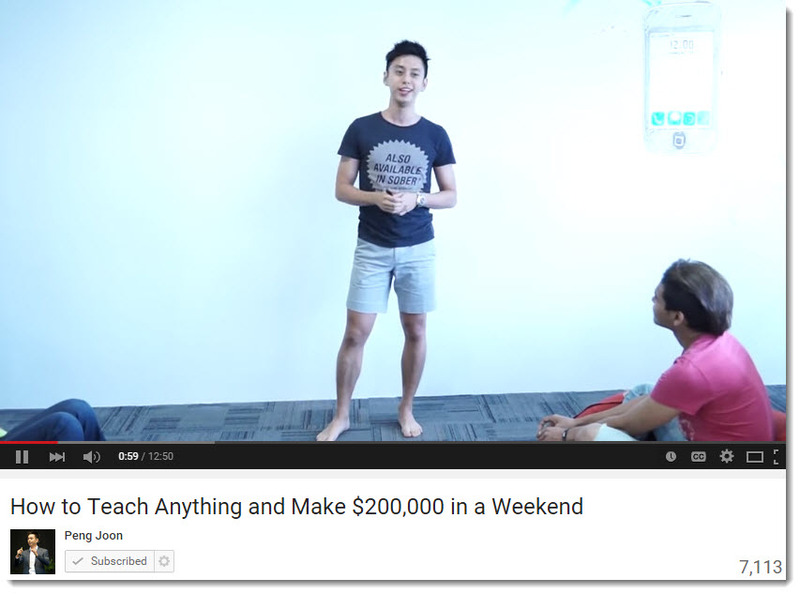 Want to Become a Pro Affiliate Marketer? You create trust and let people know who you are. Google is WANTS you to build a website to do business online (Almost every feature is optimized for website owners). You can collect lots of email and build your own database of subscribers instead of buying from people. 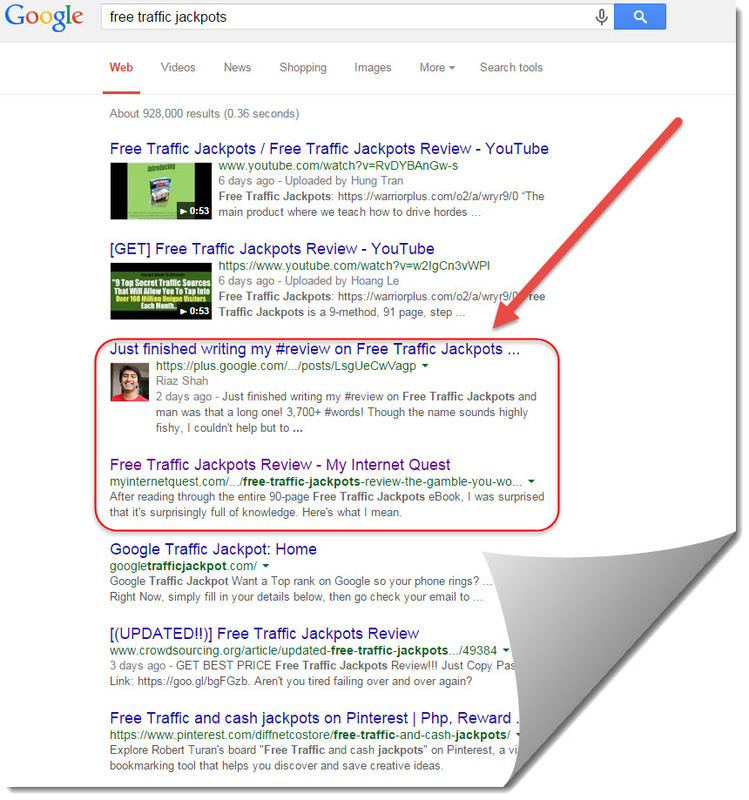 You get free clicks forever when your content ranks of the first page. You save more money since you can attract a lot of people to your website without marketing. 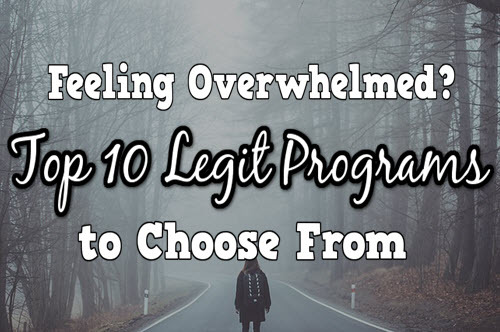 I know how you feel, website building is a very complex business and it is difficult not to mention time-consuming which is why I’m going to help you out by recommending you Wealthy Affiliate. 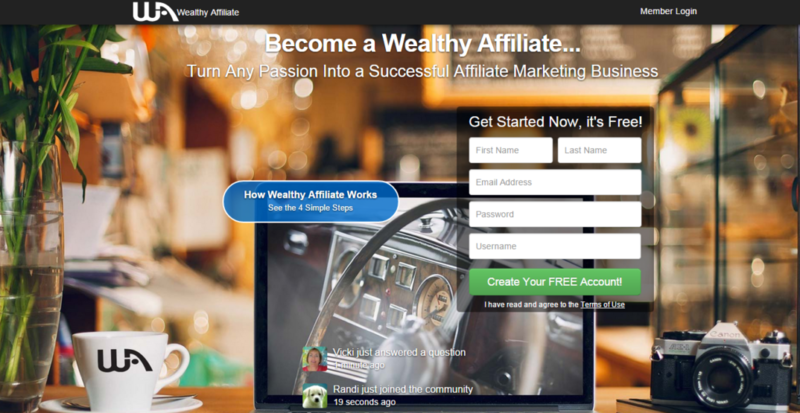 If you’re really passionate on making money from Affiliate Marketing, Wealthy Affiliate is the perfect training course for you because it teaches you all you need to know to maximize your Affiliate Marketing and make you more earnings through websites. 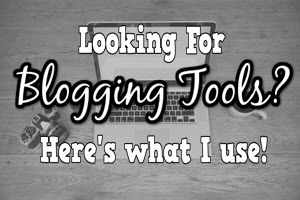 You will also get tools of the trade like a keywords research tool, live webinars every week and of course an awesome community of people just as enthusiastic as you! If you’re wondering, this very blog that you’re looking at was made entirely by me and I never spent a single cent on paying people to help me build it – all this using the knowledge I learned there. I also earn affiliate sales from reviews (Very common affiliate marketing tactic) but how I differentiate myself from others, is that I rank on first page easily and beat others who are in the same niche as me! 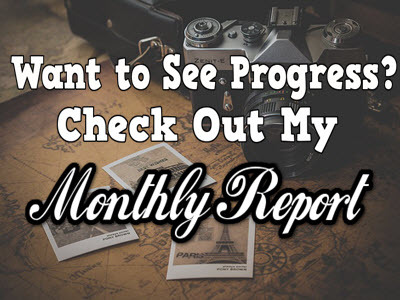 Although not all my reviews are on the first page yet, most of them are and this has got me hundreds of clicks per month for each content, sometimes over a thousand if many people are looking for it. And the best part? You can try building your first affiliate website for free! I was fortunate to have met the founders Kyle and Carson, to help me build my online business from scratch so now, I want to return the favour and help others who were facing the same barriers as me as well so if you ever decide to join the class, say Hi to me there and I’ll personally help you build your website too! Phew! That’s at least 3,500 words and I did this all in a day! I have got to stop writing this long but point of the story, you can still make Affiliate Marketing work even without a website but by not building one, you are only restricting yourself in getting more return fast. In a gold mine, you either mine manually or with specialized machines to help you get more returns faster and a website, well it does exactly that so it’s definitely worth the investment. If you’re interested in taking your Affiliate Marketing business one step further, check out my #1 recommended program here. Thanks for reading, do let me know any questions you may have as I’ll be more than happy to reply! Thanks Kate! I was thinking of the same thing but then I realised that some people do like doing mini events or talks so I think I’ll just leave it there as it does help certain people.